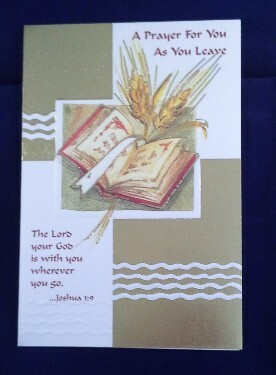 Inside Message: May God continue to bless you and keep you in His tender care. You will be missed! 4 1/2" x 6 3/4"